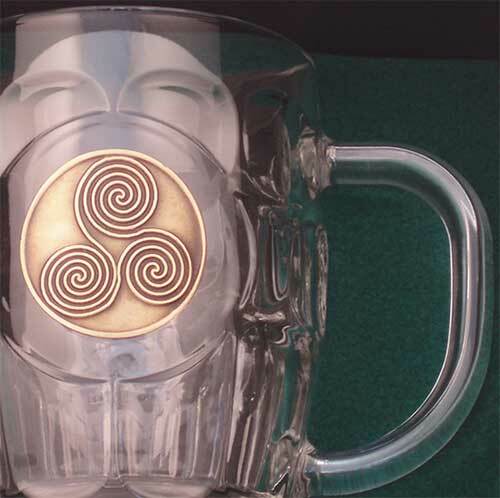 Celtic tankards are a collection of hobnail style mugs with pewter emblems that are enhance with iconic Irish or Celtic symbols. 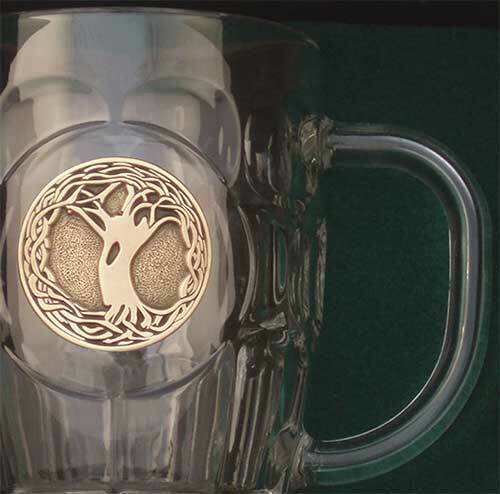 The symbols on these Celtic tankards from The Irish Gift House include the Claddagh along with the shamrock; additionally, we offer the tree of life along with various Celtic motifs and spirals that includes the Trinity knot. 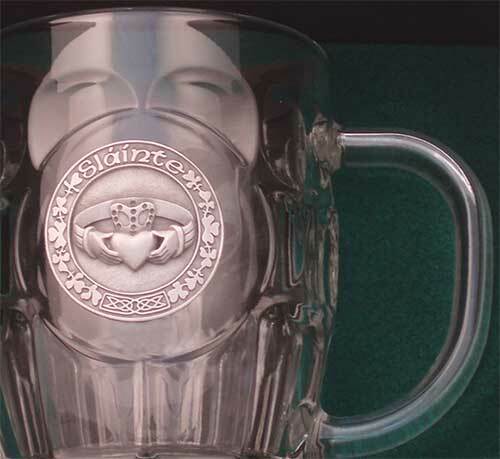 These mugs are the size of an Irish pint which is 20 ounces, so you can drink four more ounces of your favorite beer when you lift one of these Celtic tankards. 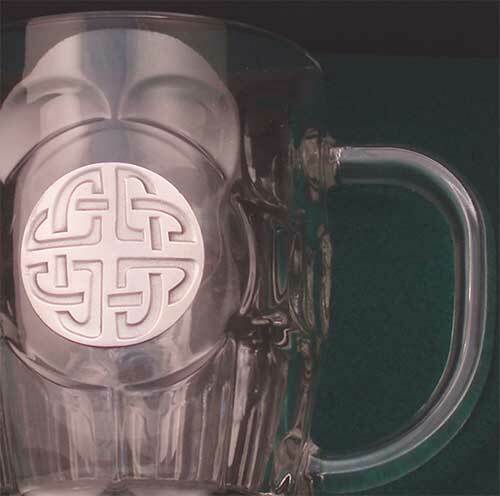 Celtic tankard features an Irish drinking toast along with embossed knot-work. 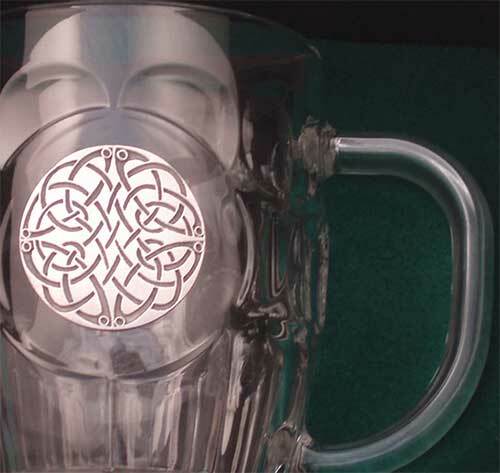 Celtic tankard features a pewter medallion that is enhanced with intricately embossed knot-work. 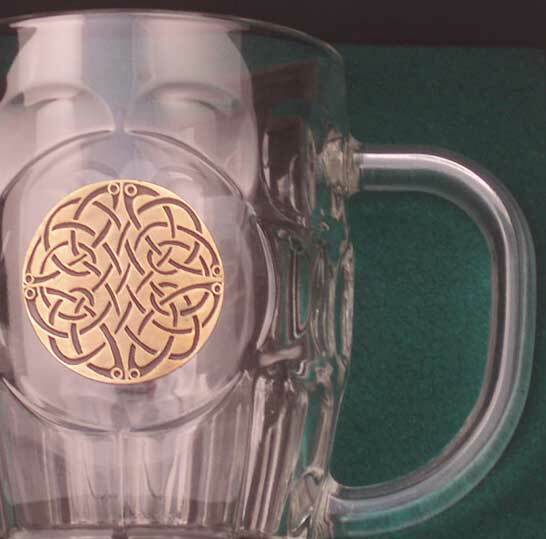 Celtic tankard features a gold plated medallion with intricately embossed knot-work. 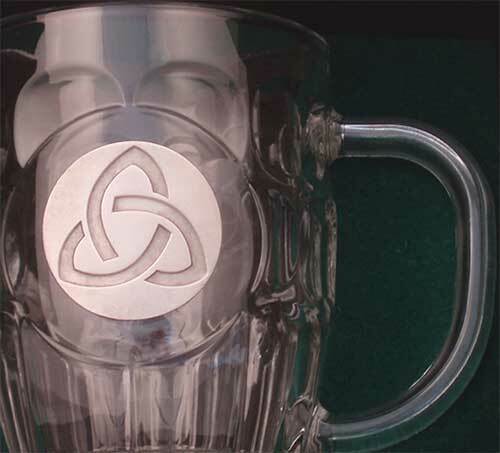 Celtic tankard features a pewter medallion that is enhanced with the Dara or strength knot. 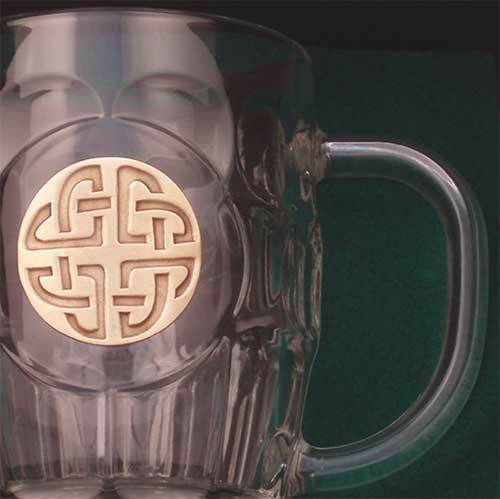 Celtic tankard features a gold plated medallion that is enhanced with the strength or Dara knot. 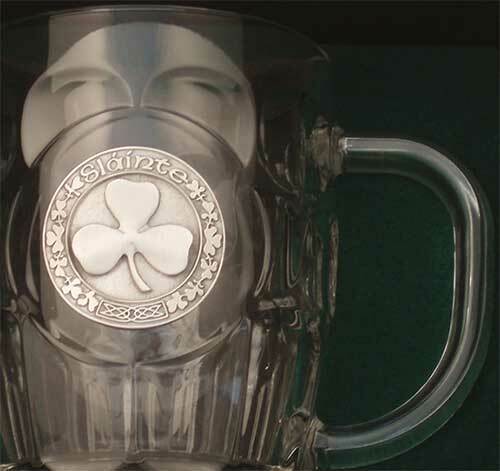 Shamrock tankard features an embossed pewter medallion that is enhanced with Celtic knot-work. 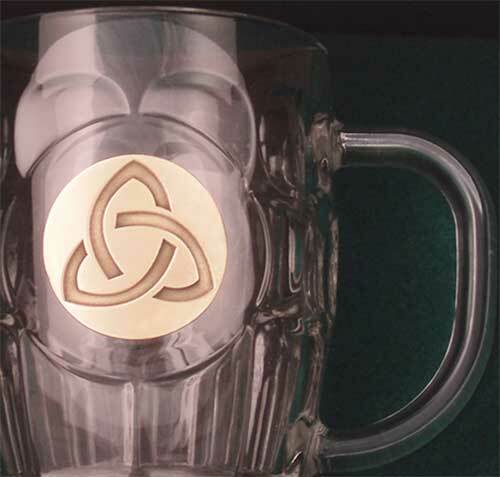 Shamrock tankard features a embossed gold plated medallion that is enhanced with Celtic knot-work. 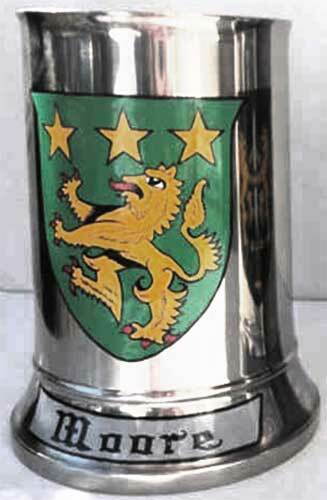 Irish coat of arms tankard features the design and family name boldly hand painted on the front of a stainless steel mug that is ideal for beer. 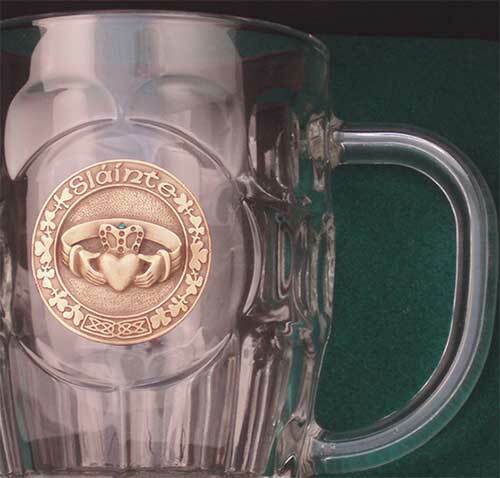 Check out additional designs that The Irish Gift House offers as Crystal tankards from Galway Crystal along with our collection of Irish pewter tankards from Mullingar Pewter. 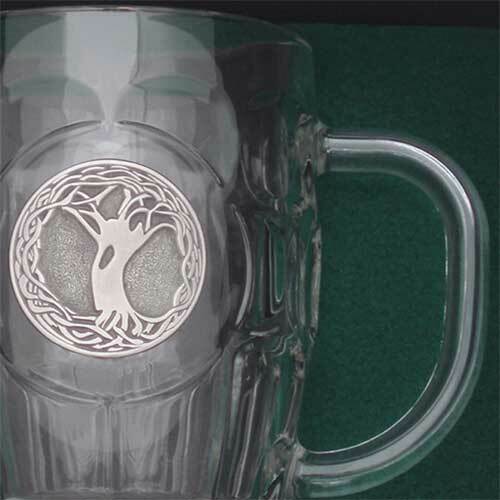 These fine selections are from Ireland and all the designs are gift boxed. 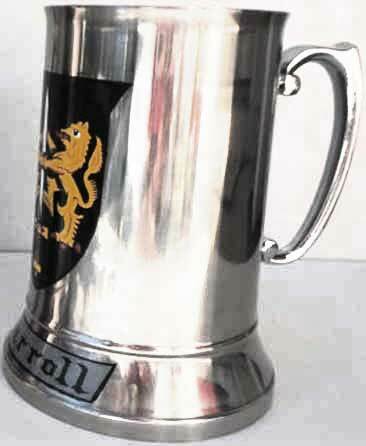 We also have an assortment of Guinness tankards that feature the branding of Ireland's famous stout. 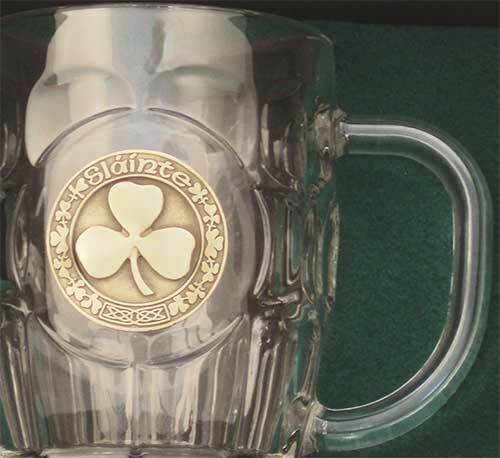 If beer is not your beverage of choice you will find an extensive assortment of Irish whiskey glasses along with a large collection of Irish shot glasses. 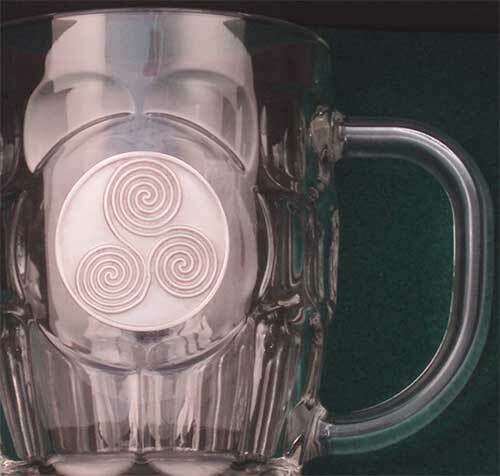 No matter what your poison of choice may be, remember to lift your next drink to Ireland.